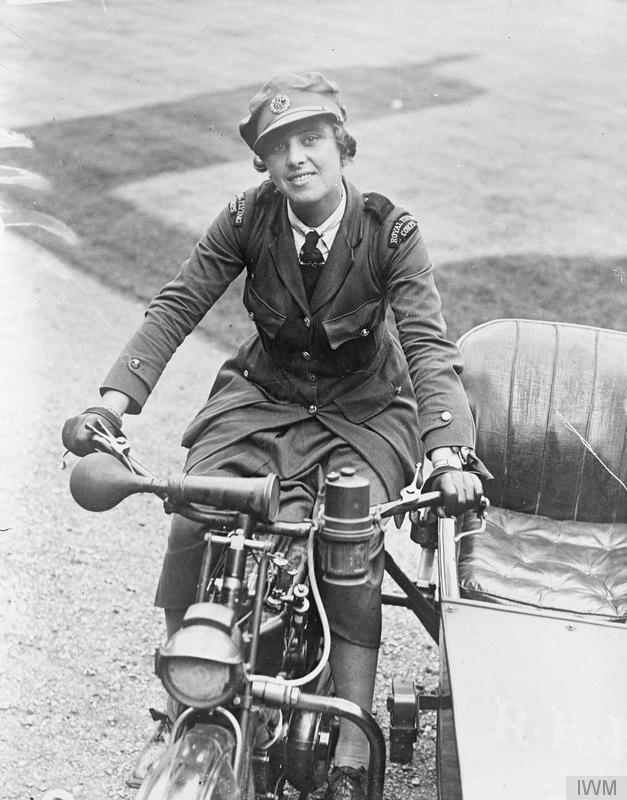 A female driver of the Royal Flying Corps aboard a motorcycle and sidecar, possibly in early 1918. The Women’s Rotal Air Force (WRAF) was formed in April 1918 and by the end of the First World War there were more than 25,000 women in its ranks. They performed a wide variety of roles, from fitters, to clerks, to cooks. Many went on to serve with the occupation forces in the Rhineland. By 1920, more than 50 trades were on offer for WRAF recruits. Among the best paid were shorthand typists and there were plenty of more eclectic roles on offer – such as carrier pigeon keeper. This entry was posted in Events and tagged 1914-1918, First World War Centenary, RAF, RFC, World War I, WRAF, WW1. Bookmark the permalink.